I wrote the following recipe for the URI Master Gardener Produce Donation Project newsletter over the summer. After putting together the recipe page for the blog, I realized I didn't post it here. 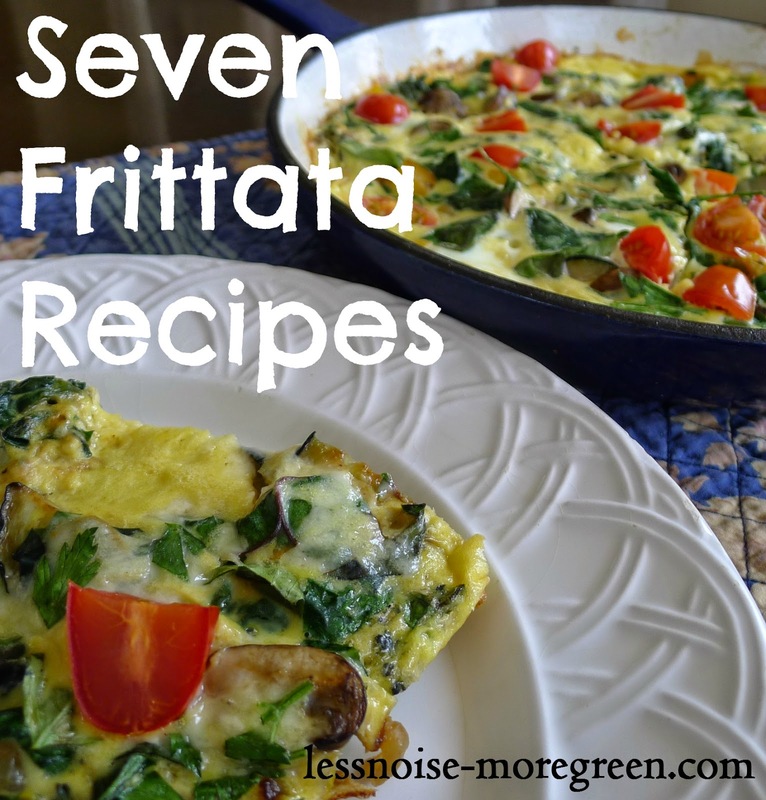 Frittatas are such a great last minute dish and infinitely adaptable. These are summer variations but I've added some ideas for autumn versions at the end of the post. Frittatas are a great way to use up the amazing selection of produce being harvested this time of year. I call this version the “All American” because it is made up of a little bit of everything! See the end for more variation ideas. Heat a large oven proof skillet. Turn on the broiler to LOW. Make sure the top oven rack is positioned in the center of the oven. Add oil or butter to the skillet and add all the chopped veggies, except for the chard. Cook until the veggies are soft. Add salt and pepper. Add the Swiss chard and careful fold into the mixture until wilted. Spread evenly over the pan. Sprinkle on the cheese and the herbs. Whisk the eggs and cream together and pour over the mixture. Using a spoon, gently move and lift the veggies to allow the eggs to reach the bottom of the skillet. Sprinkle with tomatoes. Let cook undisturbed for a few minutes until almost cooked through. Place the skillet in the oven and leave for just a minute or two until the frittata is completely firm and golden brown. Watch it closely! Remember to use oven mitts when removing the pan! Serve with a green salad or home fries. “Greek” with feta cheese, olives, spinach and oregano.